Are there records that family historians can use to learn about their ancestor’s early life in school? Yes, there are, but it depends on whether the records have survived. My visit to the Boston City Archives was testament to the fact that many records useful for genealogy are not online anywhere. Why was I there yesterday? There wasn’t a specific person I was looking for, rather I just wanted a feel for their collection. The small sampling of items they pulled for me was a fascinating array of records pertaining to Boston’s school history. It turned out to be a really fun and informative first visit to the Boston City Archives. The Boston City Archives (BCA) is the record repository for the municipal offices of Boston. In that purpose, it’s collections document the history of Boston. Boston City Archives is the repository for many of the city’s public school records and has student records back to the mid 19th century. It does not collect records from parochial schools or private schools. Among the student records I surveyed were student registers, admittance books, scholarship records, and attendance lists. Most of the records are textual, but the graduation programs for Boston High Schools up to the 1970s have been microfilmed. BCA also has a strong collection of yearbooks and class books. For genealogists, it can be difficult to get someone’s student record because of privacy laws. In the state of Massachusetts, the hundred-year privacy rule keeps student records from 1916 onward sealed. The Boston City Archives will let descendants view an ancestor’s student record if they fill out a liability form ahead of time. Because some student records are arranged alphabetically, records from all dates are interfiled with each other, so the public can’t view an entire series because they would be viewing records that are still sealed. Fig 3. Horace Mann School For The Deaf Registers, 1869-1913. Of the records I examined, these had the most interesting details. Each entry includes the student’s name, date of admission, age, name of parent or guardian, and residence. The headmaster made a lot of interesting remarks about each student regarding their circumstances including physical condition, if they were able to hear again, admission to another institution, or whether they removed. Some entries include date of death and even one entry in the page above has the student’s marriage listed. 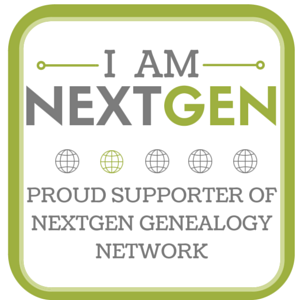 Lots of good genealogical information lies within these collections. Fig 4. Hyde Park High School Scholarship Records, 1890-1896. These records show the student’s name, date of birth, date of enrollment, date of graduation, and name of one parent. The report cards show the areas of study for each student along with their grades. Fig 5. Henry L. Pierce School Record Book, 1893. Each student record includes name, date and place of birth, address, father’s name, father’s business address, name of the teacher, and monthly report cards. Fig 6. Thetford St. Elementary, Admittance Book, 1906. Includes the occupation of the parent. Some also listed the date of vaccination. The Boston City Archives Website has an important page on “How To Find Your Boston Public Schools Transcript.” This page is a directory of student records and what repository has custody of them. Some are in Boston Public Schools Record Management Office, and others remain at the school like records for Boston Latin School, established 1635 and thus the oldest public school in the United States. Included on their website as well are finding aids for important collections, among those pertaining to School History, which has a few alumni catalogues but mostly mention sources documenting more general histories of the schools. As an afterthought, the beautiful handwriting of the headmasters, teachers, and other reminded me of how I as a student was taught cursive up until 5th grade or about the year 2000. Having left my muscle memory many years later, I have come to see cursive handwriting and other documents of this nature in many ways a lost art form. Thanks to archivist Marta Crilly for all of her help!